At OPAL Translation, we provide cost-effective, high quality Korean to English and English to Korean translation services. We make sure that your documents are free from inaccurate translations. Supported by a team of dedicated project managers, we can help with your Korean NAATI translations! For exceptional Korean translation services, fill in our enquiry form located on this web page and receive a FREE quote from us within 15 minutes! Need a Korean NAATI Translator? As one of the leading providers of Korean translation services in Australia, OPAL Translation offers high-quality Korean translation services. Our Korean NAATI translators are not only experts of the Korean language but are people who are passionate about providing an error-free, accurate and fast translation of your documents. We have offered professional Korean translations to thousands of satisfied clients and have created a team of managers, Korean translators, and editors who love their job. Do I Need a NAATI Certified Translation of my Documents? The National Accreditation Authority for Translators and Interpreters (NAATI) is the institution responsible for maintaining, setting and promoting high standards in the translation and interpreting industry. 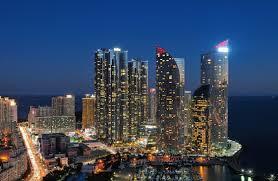 Majority of authorities in Australia require NAATI certified Korean translated documents because of its high quality. NAATI issue certifications and accreditations for practitioners who want to work as interpreters and translators in Australia. When Will I Receive my Korean Translated Document? The time it takes for you to receive your translated document depends on your document’s word count, language, and schedule. However, our Korean NAATI translators finish translation in 2-3 days. We send you a digital version of your Korean translation to your email and we will also send you a physical copy of your Korean translation by mail if you need it. But if you’re in a hurry, we can finish your Korean translation in as fast as two hours with our Instant Korean translation services. Simply fill in the enquiry form on this page and let us know your deadline. How Much Are Your Korean Translation Services? 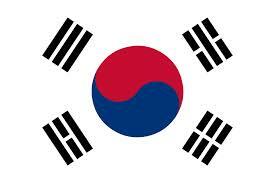 OPAL Translation has the most affordable Korean Translation Services in Australia. We translate your document for as low as $69. However, prices may vary depending on the language, availability, and schedule. To receive a firm quote, just complete the form located on this web page and send us scans and photos of your documents. Our Korean specialists will assess your document and email you a detailed estimate for free. ‘Standard documents’ used for immigration are mostly 1 page documents as such our Korean translation services are priced at a flat rate per document. Need your translation sooner? Let us know by completing the enquiry form on this page. Please note that the pricing below is indicative only. The Korean language is similar to Altaic languages in terms of grammatical elements. Both languages do not have articles, numb er, gender, voice, relative pronouns and fusional morphology. When in comes to grammatical structure, Korean is comparable to Japanese. Originally, the Korean script used Chinese characters pronounced in the local style. The script was called Hanja. In the 15th Century, the national alphabet known as Hangul was developed by Sejong the Great. It is composed of 24 letters wherein 14 letters are consonants and 10 are vowels. South and North Korea has a significant difference in the use of stress regarding dialects. South Korean speakers use less stress which lead to their language’s flat intonation. While the Gyeongsang Dialect speakers have a pronounced intonation making their dialect sound similar to a European language.